SAFOD Director General, Mr. Mussa Chiwaula, was among the invited delegates at this year’s Africa Day Celebrations at the Artscape Theatre in Western Cape, South Africa, on 25 May 2015. Celebrated under the theme “African journeys of excellence”, a series of performances characterized the event which was graced by the Guest of Honour, Premier Helen Zille. The theme highlighted innovative African disability research findings, promote sustainable and forward-looking African trade routes, mutual understanding through tourism and investing in each other’s economies. Africa Day celebrates the day when the Organisation of African Unity (OAU), the precursor to the African Union (AU), was formed in 1963. It acknowledges the progress that Africans have made, while reflecting upon the common challenges we face in a global environment. In her address, Premier Helen Zille said the Africa Day celebrations had come to mean more than just an anniversary of the African Union (AU). 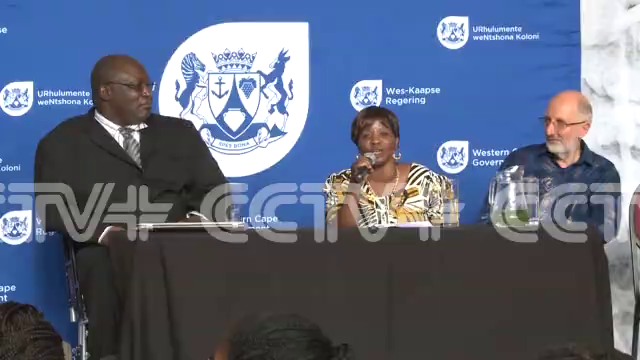 “The Western Cape’s celebration of Africa day 2015 is in attempt at a Provincial level to encourage engagement and collaboration by African experts at a people-to-people and institution to institution level,” she said. Dignitaries from the African Network for Evidence to Action on Disability (AfriNEAD) were in attendance. SAFOD’s Chiwaula was among the representatives of the AfriNEAD where he currently serves as one of its core group team members. He spoke during the event about some of the key resolutions and recommendations that have had been agreed in a series of the AfriNEAD events that had so far taken place. “Since the first AfriNEAD gathering took place in 2007 here in Cape Town, quite a lot has happened in the field of research that has benefited SAFOD and other stakeholders in various ways,” he said. He said one of the resolutions that have been reached so far include the need for AfriNEAD and other similar research institutions to move beyond the theoretical level of research in Africa. He noted that research was generally still largely impairment-focused, hence there was need to shift to more action-focused research to realize the rights of Persons with Disabilities in Africa. “Research and documentation should focus on African perspectives on disability (African model) using indigenous knowledge,” Chiwaula said. He also outlined more recommendations such as strengthened partnerships among different players; strengthening of web-based research tools; creation of national research databases; involvement of Persons with Disabilities as active participants in disability mainstreaming efforts; and evidence-based advocacy and lobbying on wide-ranging issues; just to mention a few. Other dignitaries present at the event included the former Minister of Disability and Elderly Affairs from Malawi, Ms. Rachel Kachaje (Currently the Chairperson Disabled Women in Africa (DIWA) and Current Chairperson for SAFOD Revival Team); Minister of Finance, Dr. Ivan Meyer; Minister of Economic Opportunities, Mr. Alan Winde; Director Centre for Social Research University of Malawi; Chancellor College in Malawi, Dr. Alister Munthali; CEO: Africa Disability Alliance (ADA), Mr. Kudakwashe Dube; and Head of the Centre for Rehabilitation Studies at Stellenbosch University, Dr. Gubela Mji, who is also Chairperson of AfriNEAD. SAFOD was among the participants at the Inclusive Education Experts Workshop organized by the Africa Disability Alliance (ADA) held at Holiday Inn Johannesburg Airport from 16th – 20th March 2015. The workshop discussed the draft SADC Inclusive Education Strategy for Learners with Disabilities; the draft Data collection tools on learners with disabilities in Southern Africa; and the draft Training manual for special education needs teachers. ADA (formerly the Secretariat of the African Decade of Persons with Disabilities) has been coordinating the process of drafting the strategy with financial support from the Open Society Initiative for Southern Africa (OSISA). Throughout the process, ADA has been ensuring that all inputs from the different SADC countries and other partners have been incorporated accordingly before the document is endorsed by SADC [Southern Africa Development Community]. The document presents the SADC strategy on enhancing access to education, within an inclusive education system, for learners with disabilities. While its focus is access to education for learners with disabilities, this focus is conceptualized within an inclusive education system. The strategy contributes towards the implementation of the SADC regional indicative strategic development plan with main focus to the social and human development goal which is “to contribute to the reduction of human poverty and to improve the availability of educated, well informed, skilled, healthy, flexible, culturally responsive, productive and efficient human resources for the promotion of SADC’s equitable economic growth, deeper integration and its competitiveness in the global economy”. The Strategic Framework and Programme of Action mark the first deliberate effort to mount a regional response to the growing challenges of learners with disabilities in SADC. The Framework recognises the complexity of the matter and in that regard, has adopted a holistic and integrated approach to ensure comprehensive access to education for learners with disabilities. On the other hand, the other document that was reviewed during the workshop the draft Training manual for special education needs teachers, was geared at aiding teachers in Primary Schools in South Africa, Botswana, Namibia, Swaziland, and Zambia to support learners with learning differences. The rational underlying the manual was the belief that specific human abilities and skills could be meaningfully developed and increased as a result of changed behavior and mind-sets or attitudes by trainees with regard to learners with differences, applying of appropriate exercises and ongoing commitment to learners with differences. Apparently, the workshops came at a time when SAFOD had already started preparations to organize the Southern Africa Inclusive Education Symposium in January 2016. The workshop therefore was an eye opener to SAFOD as its representatives – the Director General, Mr. Mussa Chiwaula, and Programs Manager, Mr. George Kayange – drew important lessons and ideas in terms of how they would subsequently develop the framework for the Inclusive Education Symposium whose objective is mainly to showcase and take stock of what may have worked and what may have not by 2016, thereby creating a platform of learning. The delegates to the symposium are expected to utilize the event for sharing lessons learnt, experiences and evidence-based data that can ultimately shape the Post 2015 Agenda as regards Inclusive Education. SAFOD has been participating in the preparatory meetings for the 11th SADC CSO Forum (CSF) which will be held in Gaborone, Botswana, during the run-up to the SADC Heads of State Summit in August 2015. SAFOD is one of the networks participating in the Steering Committee of the “SADC We Want” Campaign where it is coordinating the Disability Thematic Area. The Forum for SADC civil society meets every year to dialogue and reflect on issues affecting the SADC region. The SADC We Want campaign is led by the civil society Apex Alliance which includes the Southern African Trade Unions Coordination Council (SATUCC), SADC Council of NGOs (SADC-CNGO) and the Fellowship of Christian Councils in Southern Africa (FOCCISA). The Apex Alliance is an independent apex alliance of umbrella formations of civil society in all the 15 SADC member states, representing thousands of faith-based and grassroots organisations and millions of organized workers. At one of the CSF planning meetings held on 8 April 2015 in Johannesburg, South Africa, the steering committee members reaffirmed the role of the alliance partners in ensuring that this year’s forum significantly contributes towards bringing about real and sustainable change within SADC. “We need to ensure that our role as alliance partners must go beyond just engaging with our constituencies constantly. 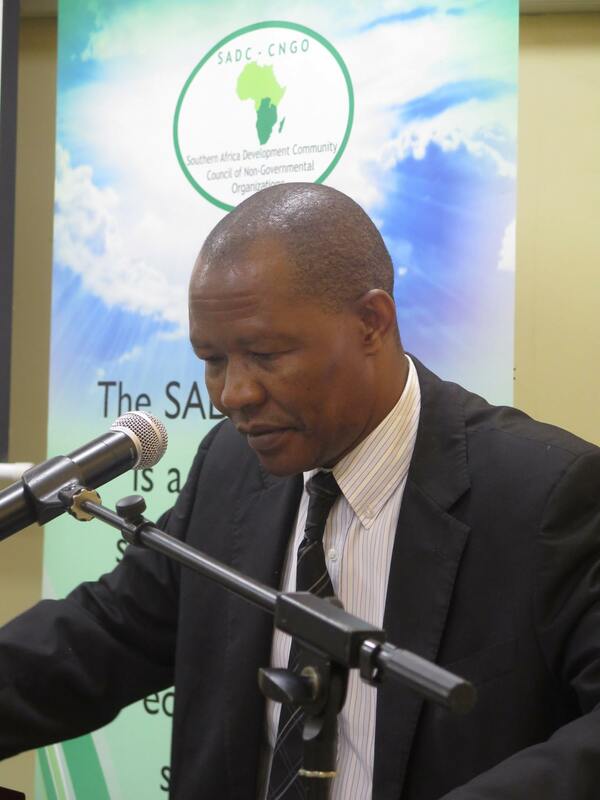 We now need to explore new ways of running the forum to make sure we make tangible and sustainable impact [within the SADC system],” said Boichoko Ditlhake, SADC-CNGO Director. Delegates observed that despite the CSF being held yearly for the past 10 years unrevealing and advancing various regional development issues, not much change within SADC, particularly in terms of how the institution governs itself. Hence the delegates proposed that the main theme for this year should focus on rebuilding SADC. “It’s not about the issues because we already know them. Rather, it’s about how we mobilize ourselves to deal with the issues. Issues need to appeal to the national contexts while we transmute them into the regional context,” added Ditlhake. At these forums, the CSF builds consensus and unity on the burning issues facing CSO in the region and addresses itself in particular to the challenges and opportunities facing regional integration. The CSF also contributes towards a common and shared plan of action on agreed priorities for CSOs in Southern Africa. The 11th CSF will coincide with the summit on the review of the SADC Gender Protocol to be convened by the Genderlinks, while a number of side events will also be held during the 11th CSO forum. At the planning meeting, SAFOD, on its part, committed to holding its own side event focusing on “Disability and Inclusive Development,” which is also expected to discuss the framework for a proposed SADC Disability Protocol.